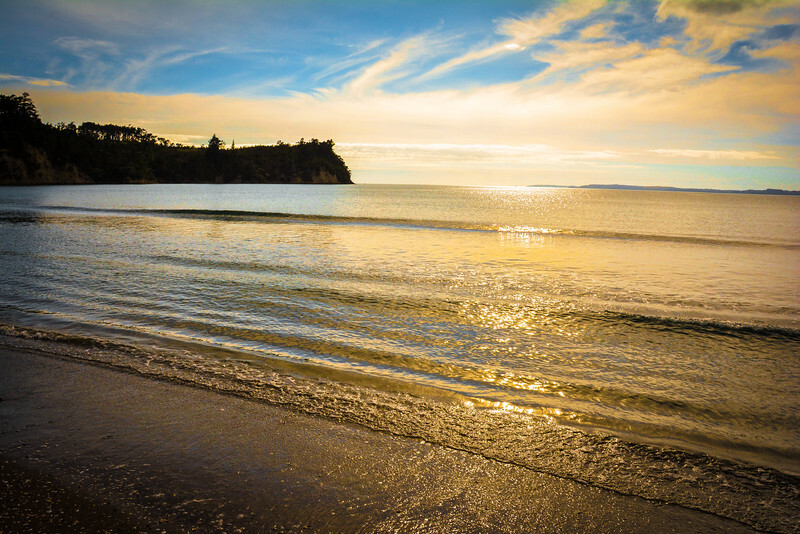 Home New Zealand How to Enjoy the Drive from Auckland to Bay of Islands? If you are considering taking a day trip from Auckland to Bay of Islands in the northern section of New Zealand’s North Island, you should! 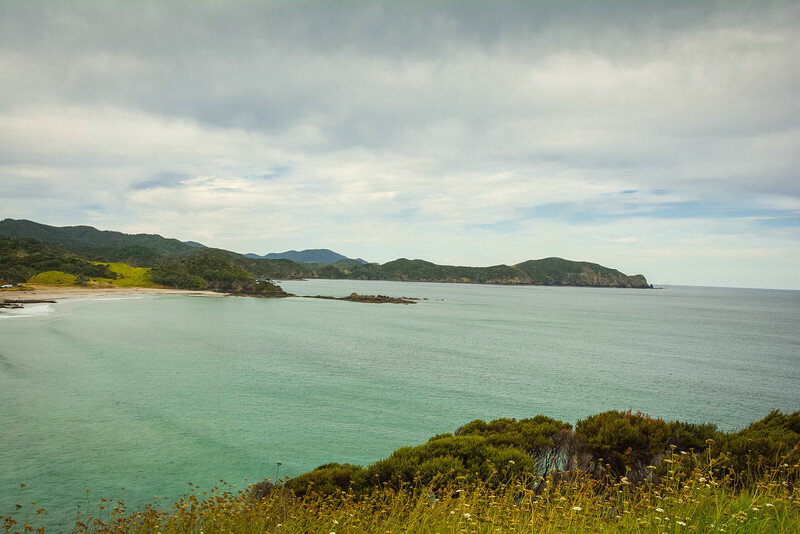 Having spent a day exploring the Auckland CBD, we hopped in our rental car and ventured north in search of the amazing untouched coastline that typifies the spectacular Bay of Islands region. 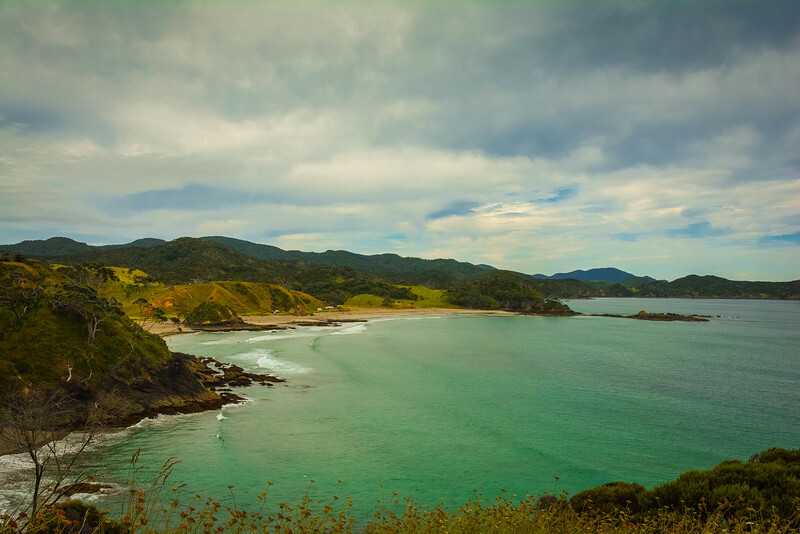 The North Island may not have the stereotypical amazing scenery in comparison to the South Island but just a short distance from Auckland, you are rewarded with a breathtaking coastline that continues as you drive further north. 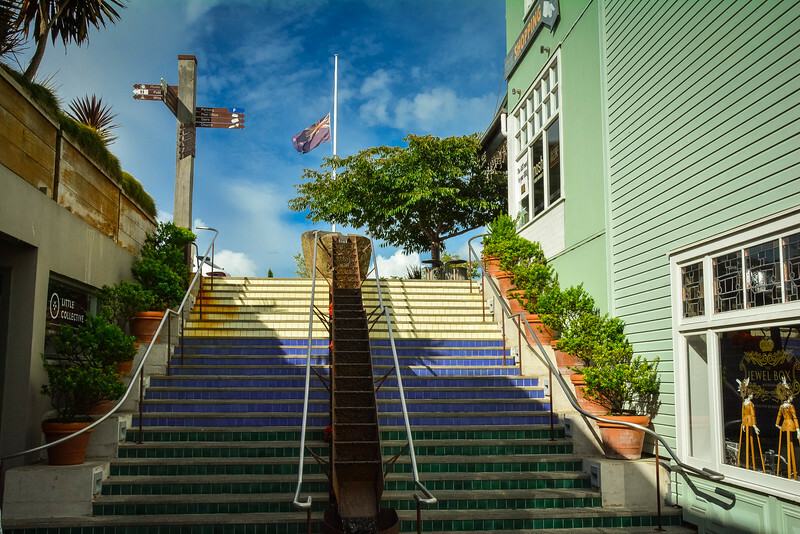 Rather than pinpointing all the various routes you can take when you leave Auckland, we want to share our itinerary that we chose to follow on New Year’s Day. We had several spontaneous routes that we chose to take but after arriving back in Auckland 12 hours after we left, we can well and truly reflect on an amazing day trip that I’m convinced everyone else will appreciate should they choose to follow this. 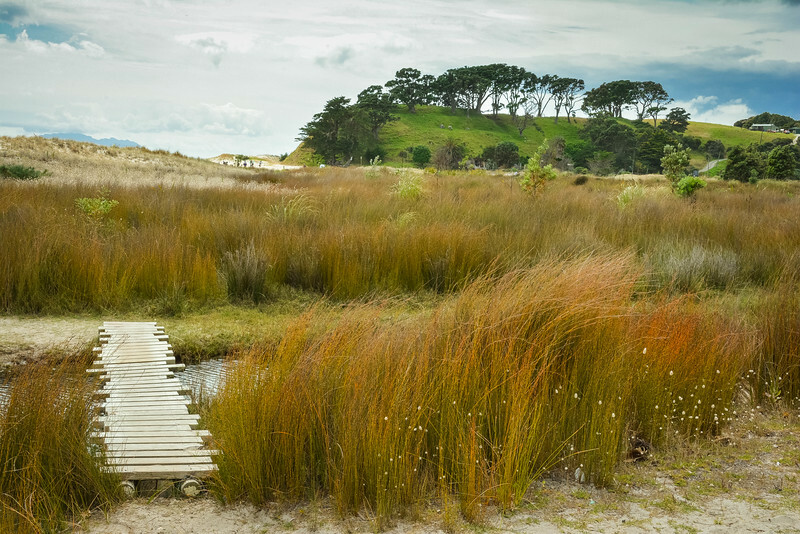 New Zealand is blessed to have two distinctive islands that represent this beautiful nation. 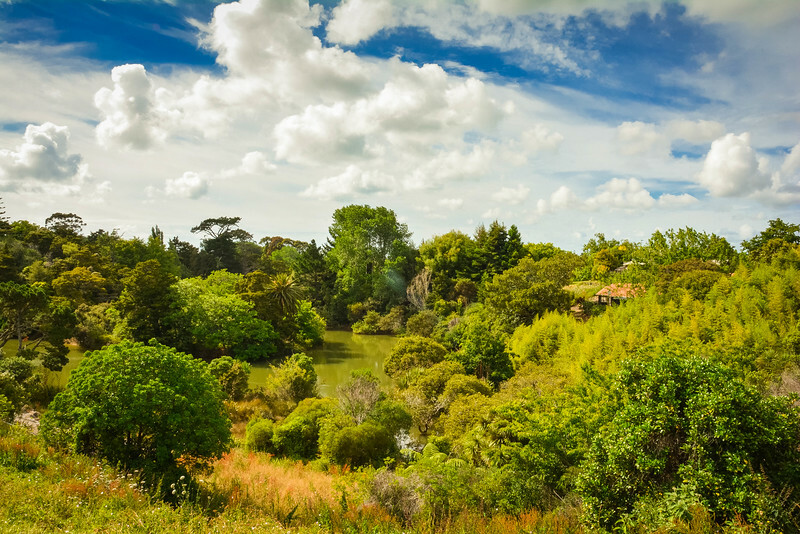 However, if you haven’t visited the North Island you may not be aware of a plethora of other smaller islands that are scattered along the north-eastern coastline past Auckland. 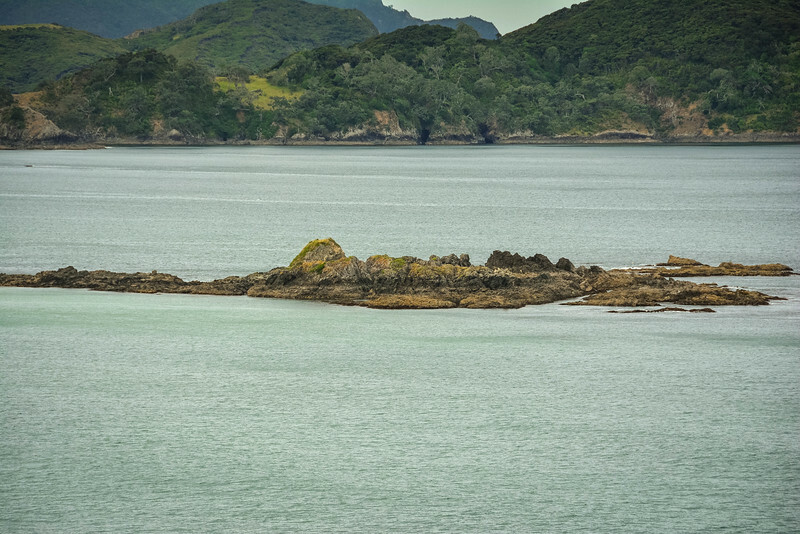 It’s no surprise to hear that this region is referred to as the Bay of Islands! 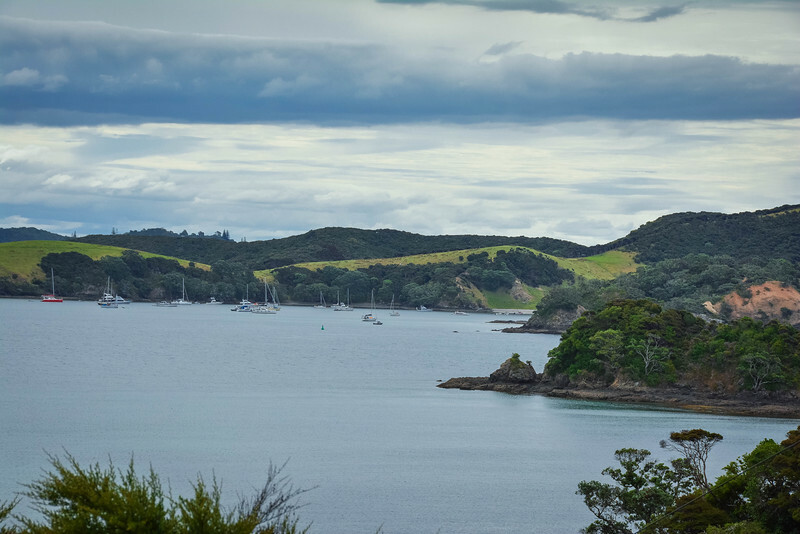 When I first heard about the Bay of Islands, I read that this region was “a world away from city life,” despite only being a short distance from Auckland. I had to see this for myself and after taking this day trip, I can well and truly attest that this statement is 100% true. 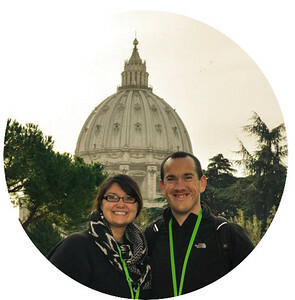 Let’s take a look at the route we opted for and some of the highlight attractions along the way. 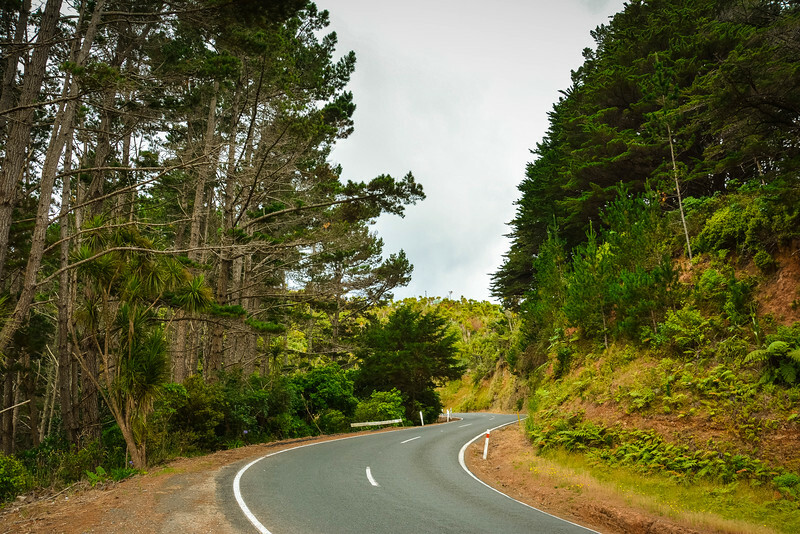 If your goal is to reach the northernmost point of the North Island at Cape Reinga without exploring much of the natural beauty along the way, the following route is probably not going to be the ideal option to take. 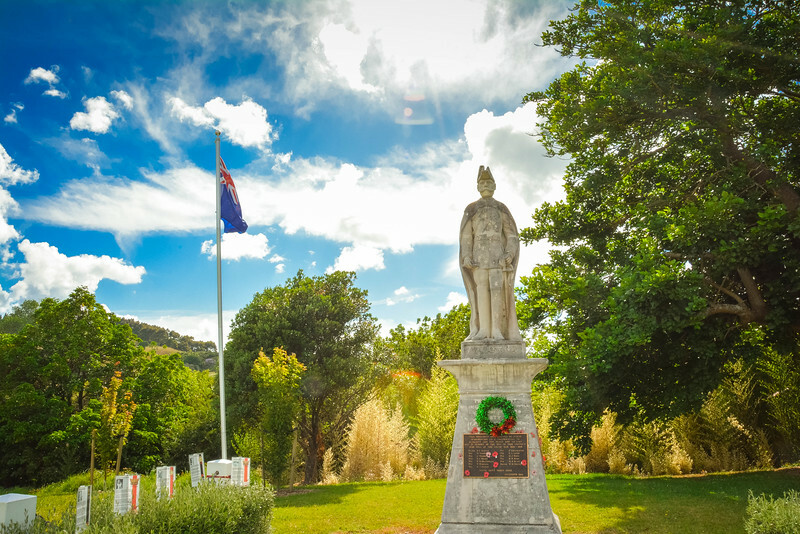 It’s time-consuming and ultimately best suited to experiencing as a day trip from Auckland or as a multi-day trip where you spend the night at one of the many towns and villages along our proposed itinerary. A short drive along New Zealand State Highway 1 from Auckland we had the option to take the toll road or head towards the coast to avoid this and pass through the town of Orewa. As you can imagine, there wasn’t really a choice as any opportunity to admire the amazing scenery overlooking the ocean we took it! 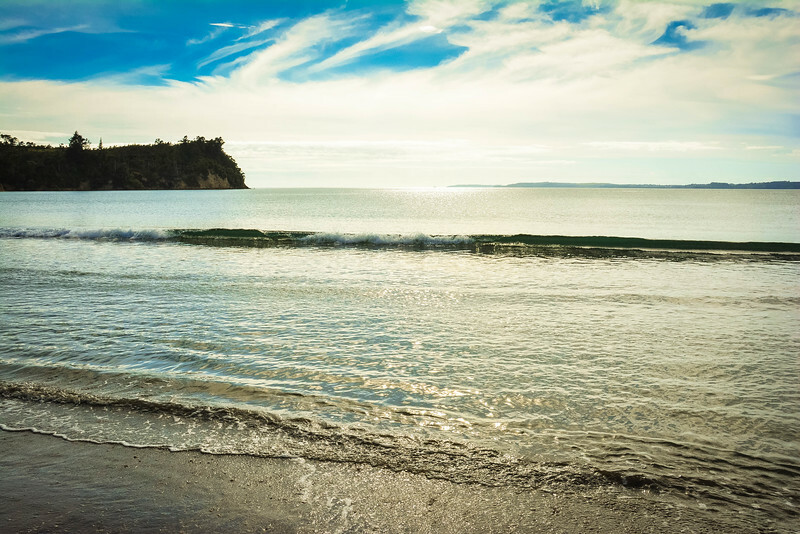 Known as the “the gateway to the Hibiscus Coast,” Orewa Beach was our first glimpse of New Zealand’s spectacular coastline. 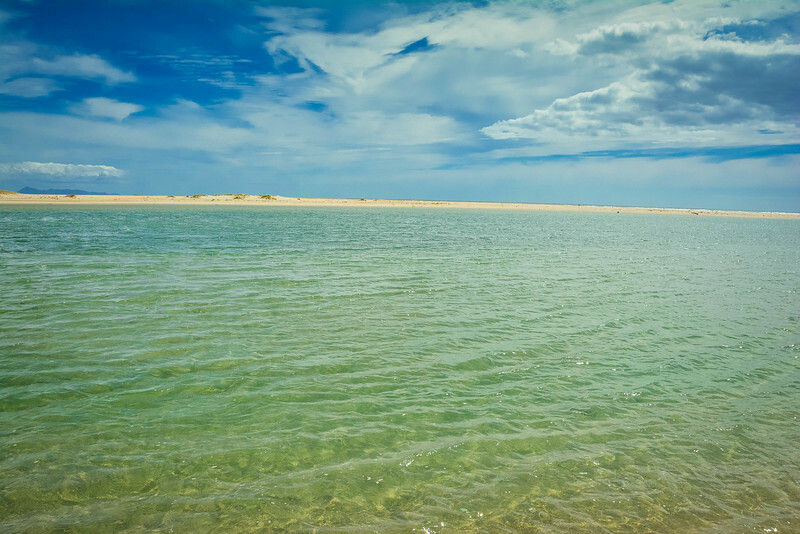 After passing through the town, we pulled over by the beach and took a short stroll along the pristine sand while enjoying the relaxing sound of the waves. 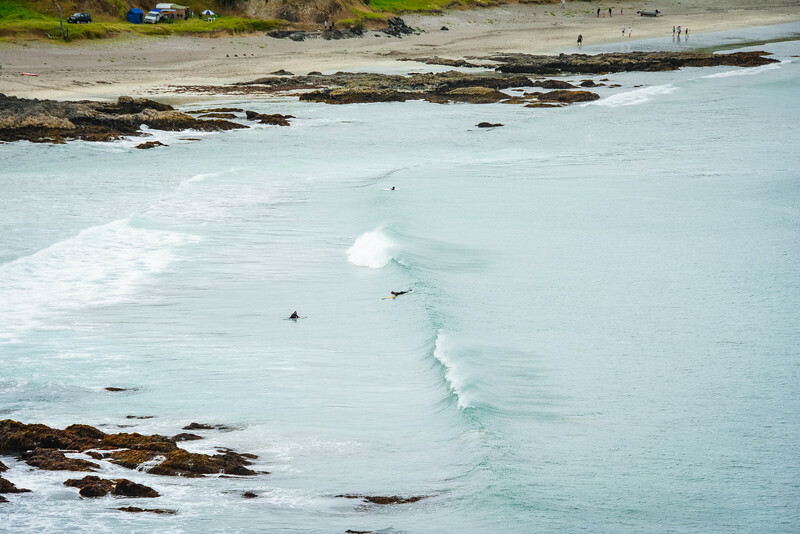 This Pacific Ocean beach is a stretch of coastline where avid surfers (head a little further north away from the town) can enjoy, while visitors and locals alike that prefer less strenuous activities can still admire the spectacular scenery here. 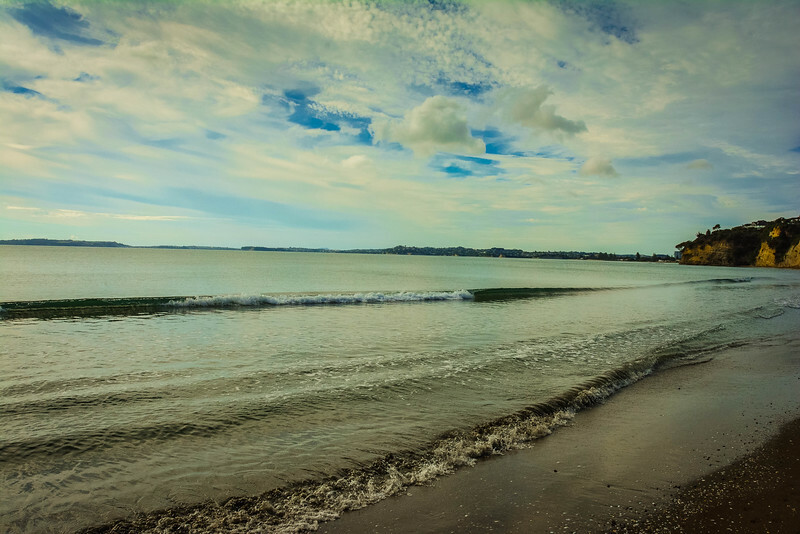 After leaving Orewa (that was actually pretty difficult because we were really enjoying spending time on the gorgeous beach), we continued our journey north and opted to stay on the quieter roads along the coastline rather than heading inland for the highway. 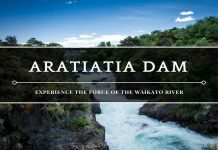 We are glad we did this because the scenery continued to amaze us and we eventually stumbled across a small town by the name of Matakana. 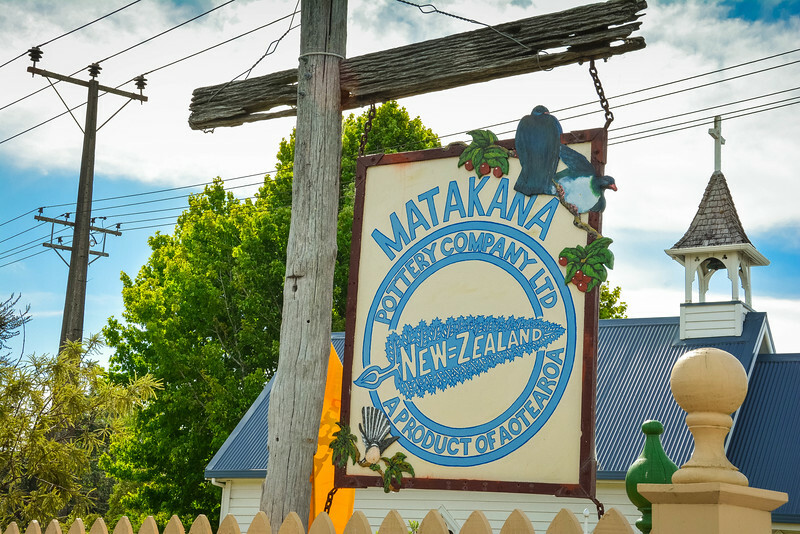 Matakana is a small town along the eastern coast of the North Island and this was a perfect opportunity to have a quick pit-stop and grab something to eat and drink before continuing our journey. I was amazed at how busy this little town was and how the majority of the local stores were open despite being New Year’s Day morning. A local coffee shop on the corner was the perfect spot to grab an espresso or if you prefered a colder option, the store across the street had everything you could wish for along with a cafe if you wish to grab a bite to eat. In the local square, a farmer’s market was in the process of being set up with local produce, crafts and other artisan inspired gifts available for purchase. 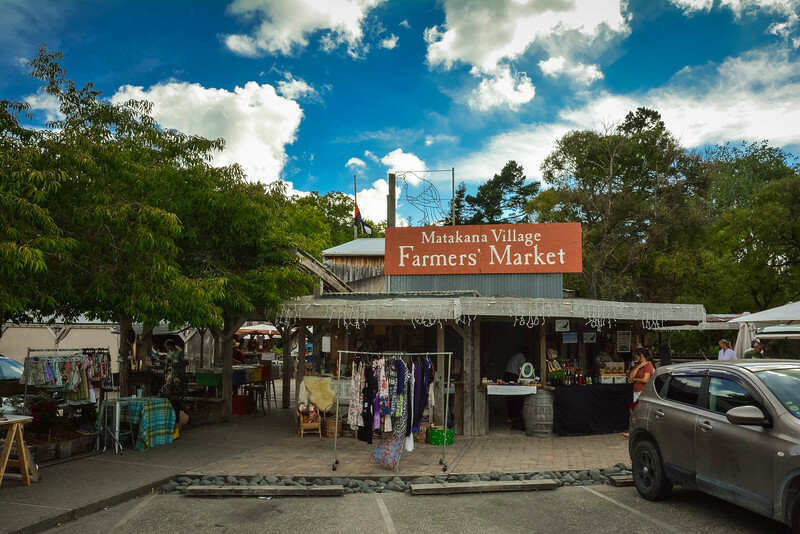 We later found out that every Saturday Matakana hosts this farmer’s market and is the ultimate showcase of locals in the Matakana region who have a passion for what they do. I don’t usually talk about public bathrooms in my post but those in Matakana were so quirky that they deserve a mention. The design of these perfectly sculptured bathrooms is such that you just have to experience them! Opened to the public in 2009, these bathrooms were designed by a local after the town offered a competition for the building’s design. 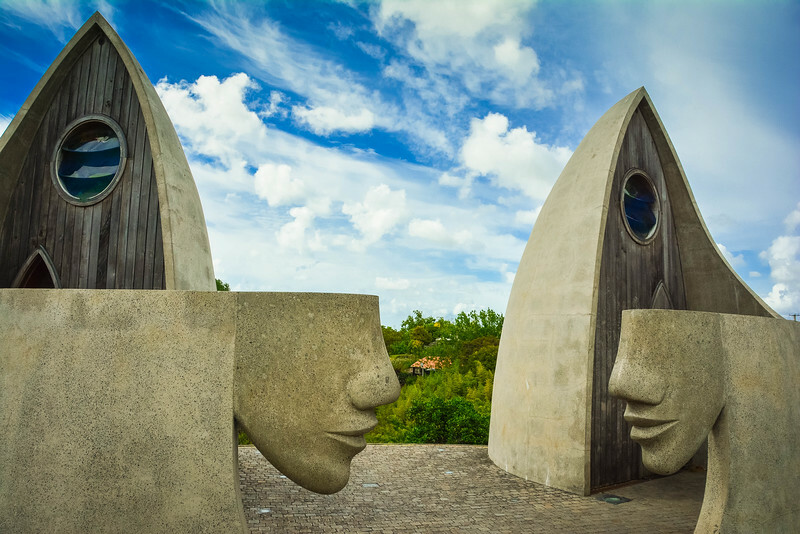 I am not sure of the exact significance of the half-faces but it’s certainly a highlight in the town and the location on the side of the road means you cannot avoid seeing this as you pass through. 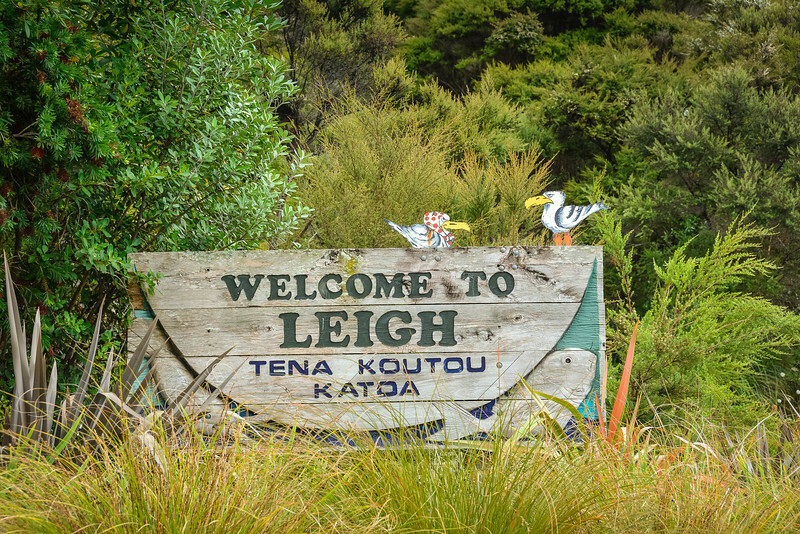 The small coastal town of Leigh was our next stop. As we drove through the heart of town, I have to admit that I was a little disappointed because there wasn’t much to see. However, as we drove a little further outside of the town we stumbled across another gorgeous stretch of coastline where we had to stop and experience. 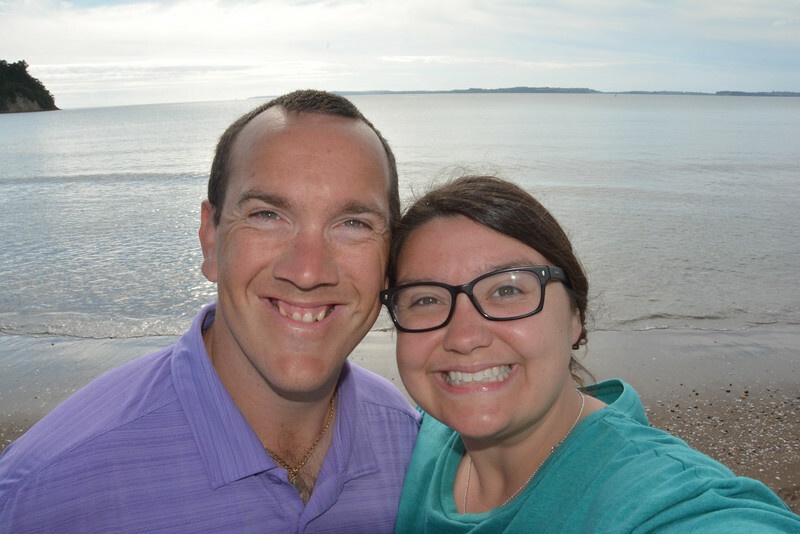 After driving down a gravel road for about two miles, we arrived at a campground where we parked and took a short walk along a boardwalk to admire the amazing landscape. A combination of sand dunes, the open ocean and islands scattered in the background provided the perfect backdrop for a relaxing stroll. We even had the opportunity to have a quick dip (at least with our feet) in the ocean but we were ready to continue exploring rather than just enjoy the rest of the afternoon here. 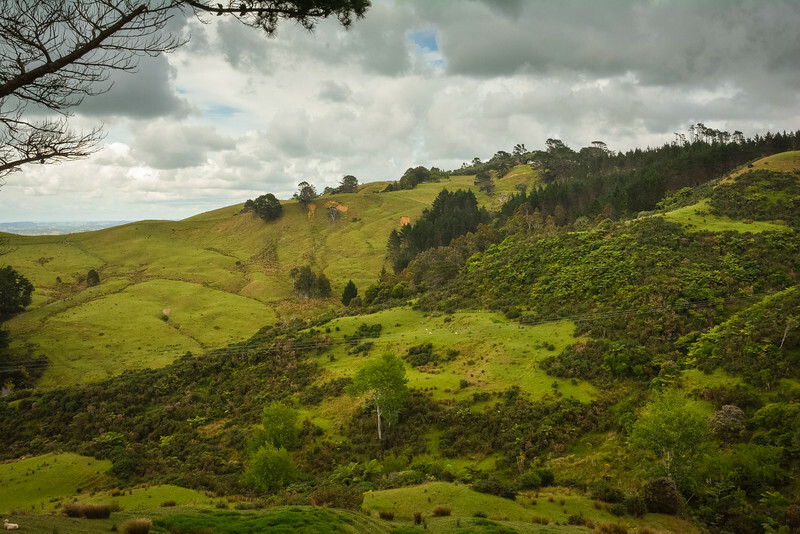 The drive from Leigh to Whangarei was full of amazing scenery and I had a real sense of déjà vu as the surroundings were very similar to the English countryside I am familiar with. 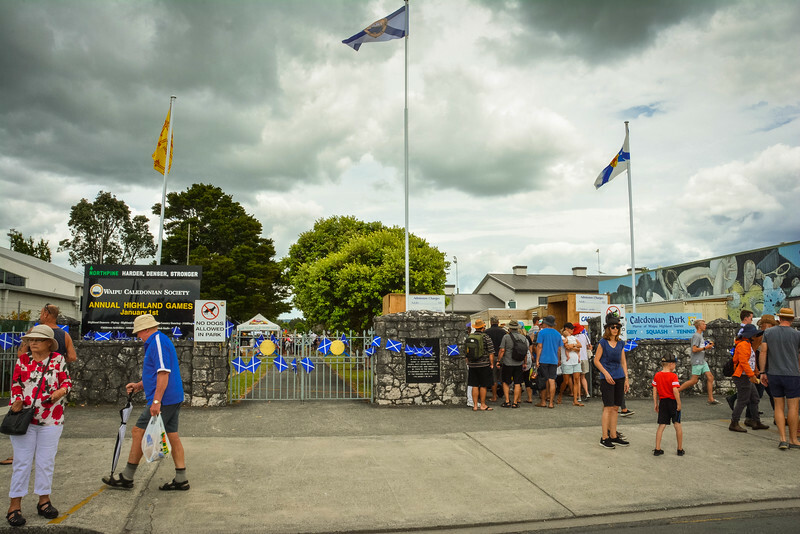 The drive from Leigh to Whangarei saw us pass through several smaller towns including Waipu which was hosting a New Year’s Day edition of the infamous Highland Games. Everywhere you looked, Scottish flags were flying high and people dressed in kilts and other traditional attire were flocking to Caledonian Park to experience the caber toss and other symbolic events that you associate with these festivities. 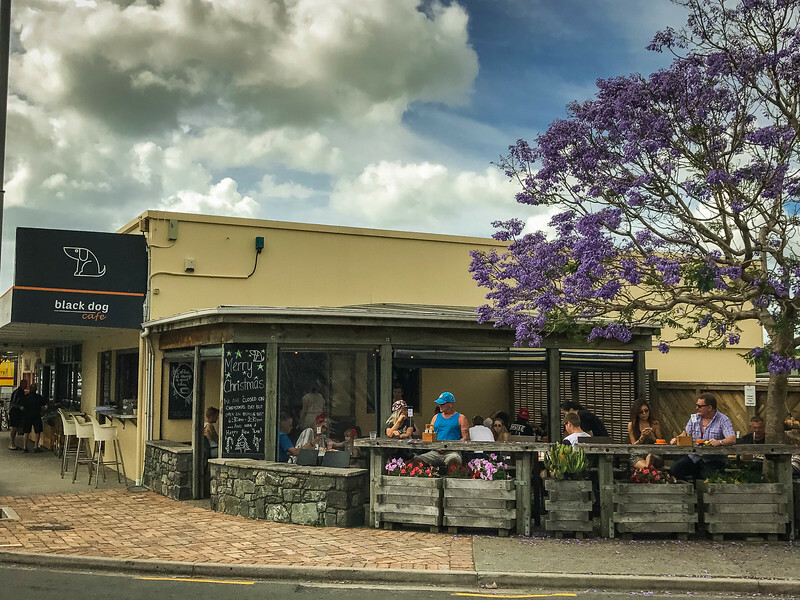 We decided against spending time here and continued our drive to Whangarei where we enjoyed a late lunch before visiting Whangarei Falls. We LOVE waterfalls and this was renowned as being pretty spectacular. 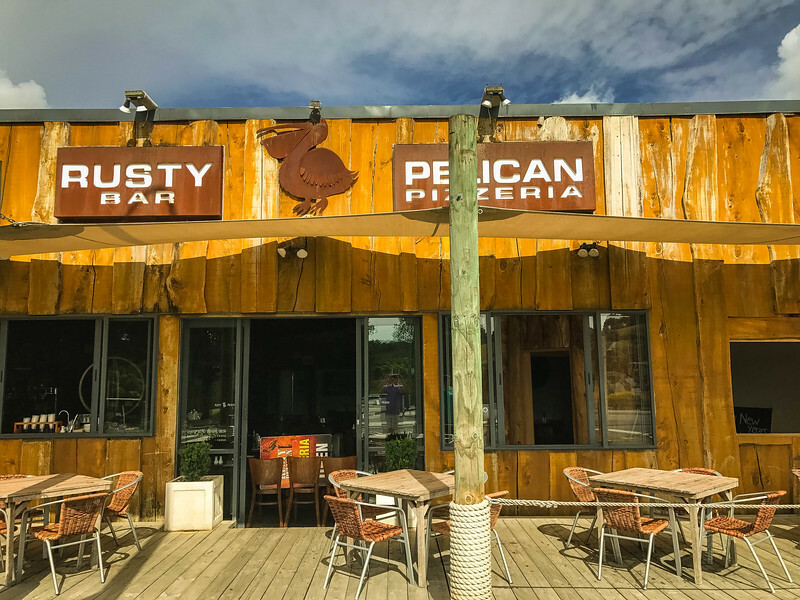 We were certainly not disappointed! A number of viewing platforms are available as you watch the water cascading over the drop measuring 86 feet. 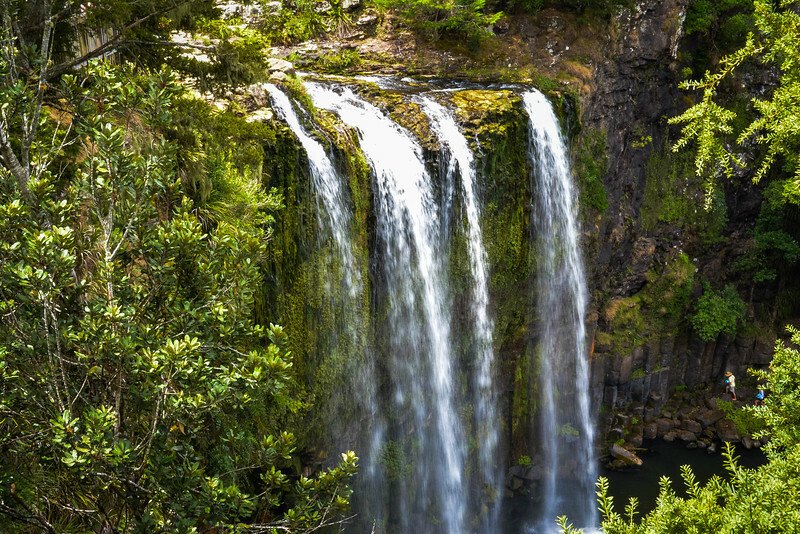 Categorized as a “classic curtain waterfall”, Whangarei Falls is part of the Hatea River and not only offers spectacular viewing points but also the opportunity for visitors to hike to the bottom and enjoy the pool of water that is particularly popular in the heart of summer. 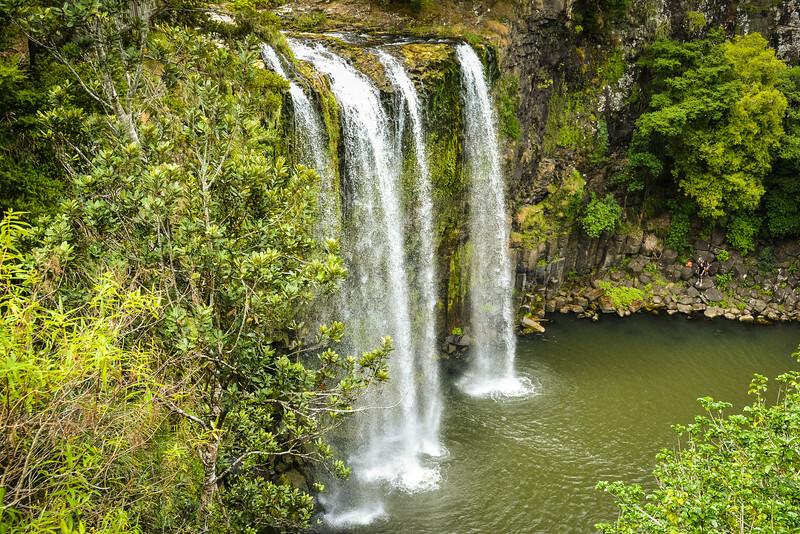 We were fortunate to experience these falls when the water was flowing pretty strongly but there are times of the year where the water levels are lower, so be prepared for Whangarei Falls to look a little different to these images. 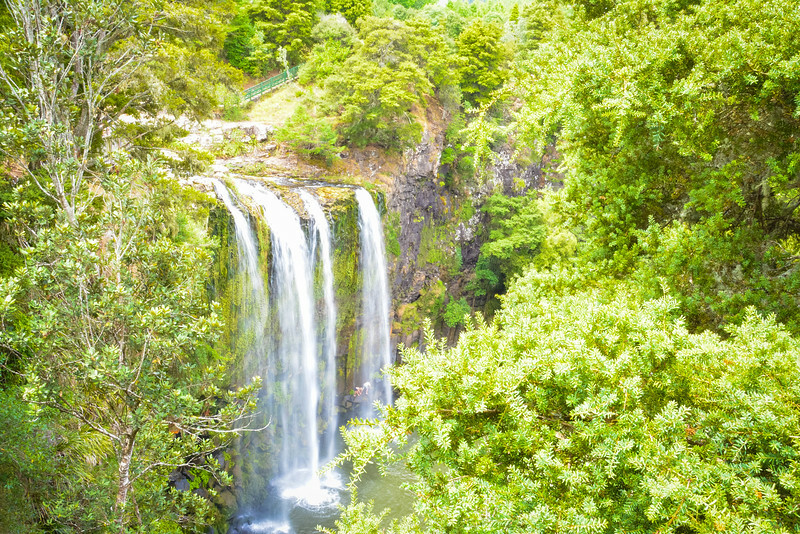 All of these are within short driving distance (less than 30 minutes) of Whangarei and offer an opportunity for waterfall lovers to have a nice collection to compare and contrast. 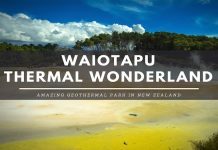 Our initial thought was to drive to Whangarei and then start heading back south but after looking at the map and realizing that we were only a short distance from the main area classified as the Bay of Islands, we decided to keep driving in hope of seeing something spectacular. 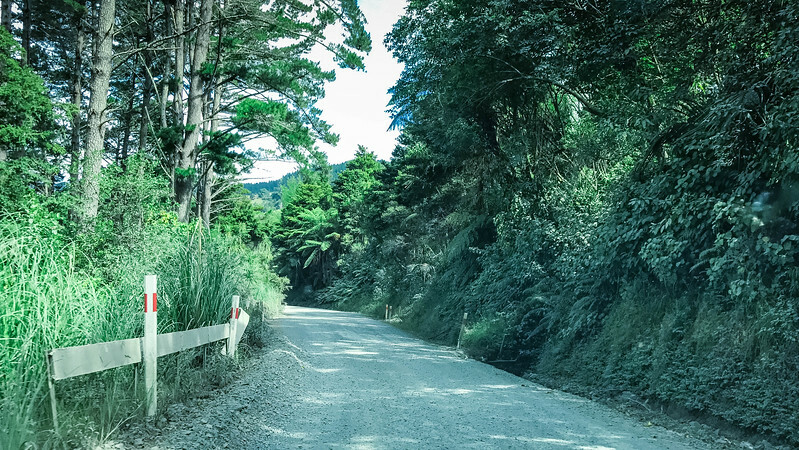 The drive from Whangarei to Bay of Islands is actually longer than it appears on the map, primarily because the majority of this is on winding roads that will certainly encourage car sickness if you are inclined to suffer from that. However, despite the distance, the drive is actually pretty spectacular and definitely worth the effort. It’s a real test of your concentration as you are frequently reducing speed to take tight curves and chicanes, something that may be better suited to a Formula 1 race track rather than country roads in New Zealand. The final section of this drive is also a gravel road which I am thankful we didn’t have our own vehicle given the amount of rocks that were frequently flying up and hitting the side of our rental car. Regardless of the driving conditions, the views along this stretch of coastline are well worth the effort. 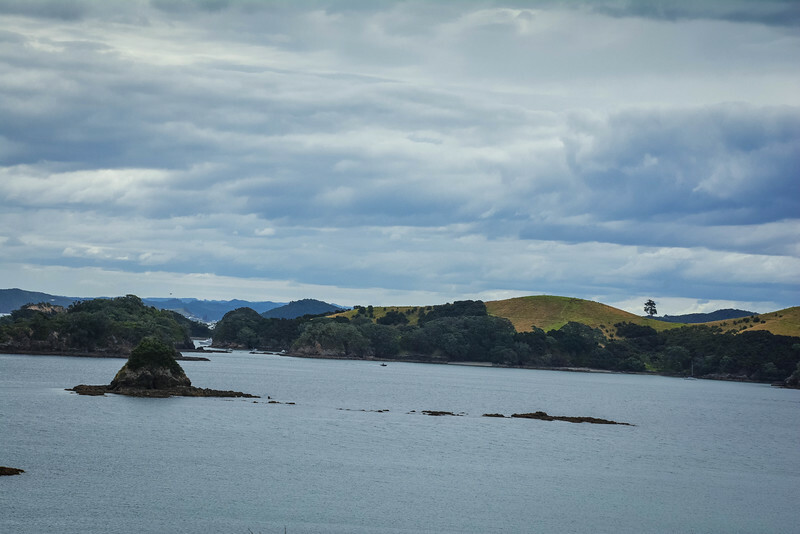 The aerial images of the Bay of Islands that you may have seen previously are certainly similar to what you can experience along this drive. 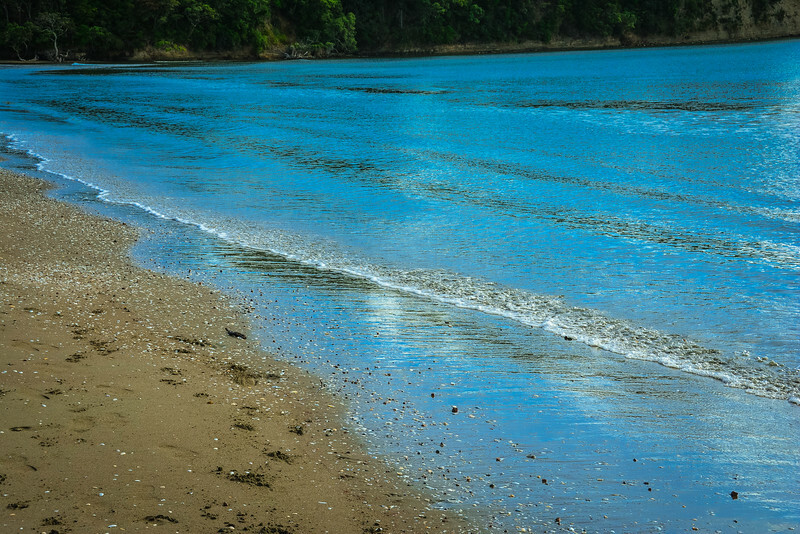 The turqouise colored waters of the Pacific Ocean along the eastern coastline are breathtaking as are the vast number of islands that you can admire throughout the bay of the Te Rawhiti Inlet. 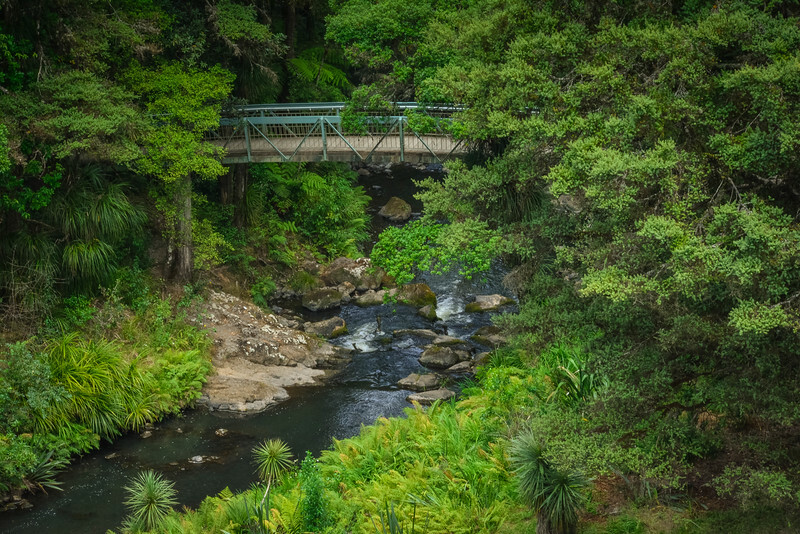 Unfortunately, if you make the effort of driving all the way to Rawhiti there is really only one way back and it’s the same route that you took. Be prepared to enjoy (or despise) the same experiences though at least this time you know what to expect as you take those sharp corners. The drive from Auckland to Bay of Islands proved to be an incredible day trip. We tagged on a little extra at the end by driving all the way to Rawhiti but I’m sure you will agree it was worth the effort. 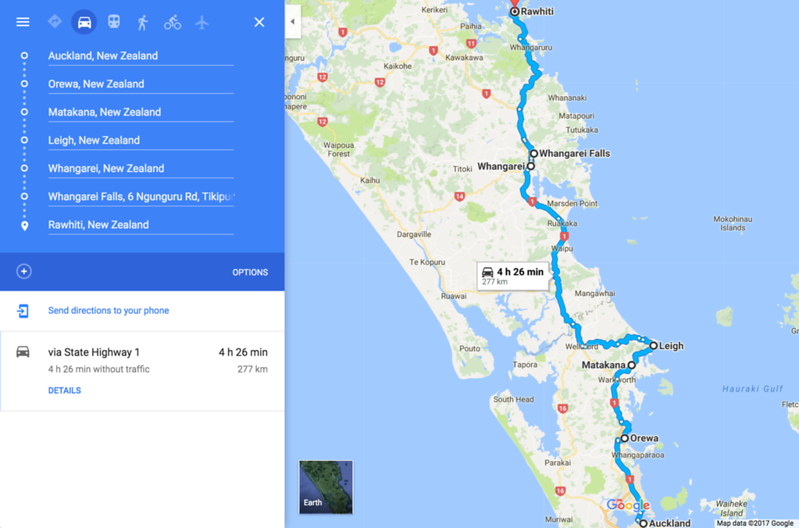 It’s certainly plausible that you would want to drive all the way to Cape Reinga so that you can stand at the northernmost point of New Zealand (hopefully we will have the opportunity to do this on a future trip) but realistically you would want to make this a multiple day trip. Day trips are always a great idea especially if you want to have the comfort of knowing that you have a base to explore from. 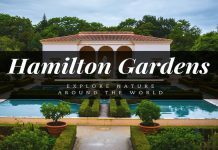 Auckland is perfectly located to accomplish this with a number of awesome destinations such as Hamilton, Rotorua and the Coromandel Peninsula all within driving distance for a day trip. 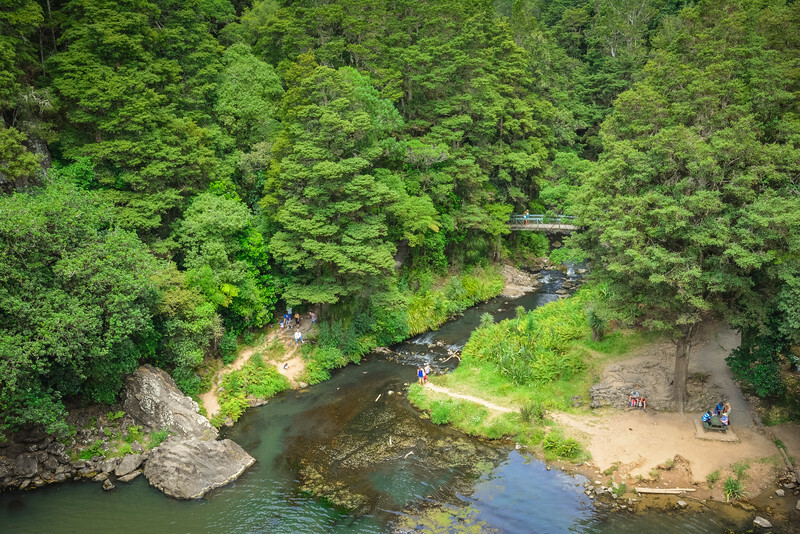 However, we encourage you to add the Bay of Islands to the list of possible excursions because the variety of attractions along this route ensure this will be a memorable trip as you reflect on your time in New Zealand. Previous articleHow to Enjoy a Breathtaking 48 Hours in Jasper National Park? Next articleBrewster Travel Canada – How to Enjoy an Amazing Glacier Walk? Are you here now? I live on the Hibiscus Coast. Do you want to catch up for coffee on your way back down? Unfortunately we are not in New Zealand right now! 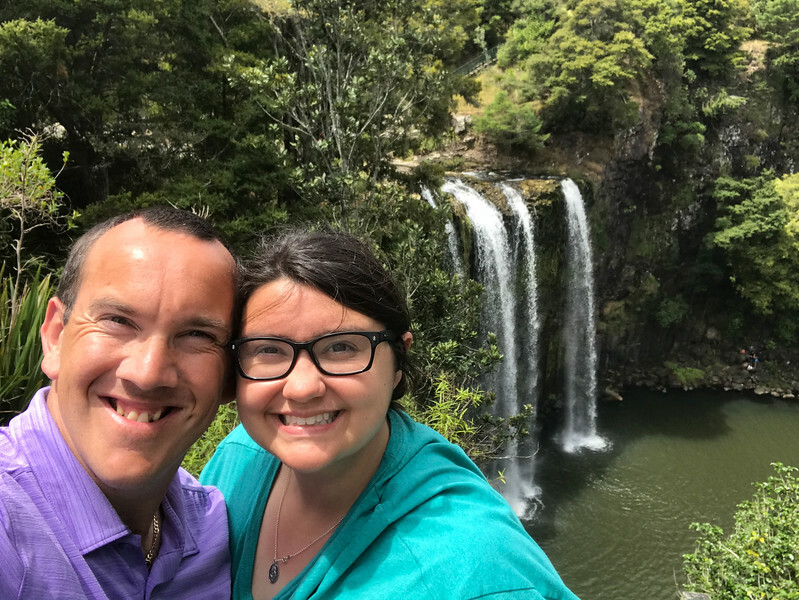 This post was just catching up on our experiences there earlier this year (we were in NZ to celebrate the New Year actually!). Definitely cannot wait to head back and will definitely let you know so that we can grab a coffee. New Zealand looks so beautiful. Your post really made me want to go there to visit this place. I only wish it wasnt so far from Europe. I hope to visit this beautiful country one day. Your post is making me homesick in the best possible way! I have heard so lovely things about this place the past months. It’s great to know that is safe for to travel on it’s own. Great stuff! I will surely use this on my next trip. The actual pictures are very useful to decide where to go. Hi Sarah, thanks so much for your kind comments! We really enjoyed this drive to the Bay of Islands and I can’t believe it’s a year ago that we were actually in New Zealand. We need to return soon!! Happy New Year! !